Oilholics Synonymous Report: By ‘George’! In shale we (Brits) trust? Delivering his 2013 budget speech on March 20, UK Chancellor of the Exchequer George Osborne told a boisterous bunch of British parliamentarians that "shale gas is part of the future and we will make it happen." He added that the government will publish guidelines by June which would set out how local communities could benefit from “their” unconventional gas resources. The UK lifted a temporary moratorium on shale gas fracking in December 2012 after much procrastination. At the time, it was announced that the government would establish a new Office for Unconventional Gas with an emphasis on shale gas and coal-bed methane and the role they could play in meeting the country's energy demand. If anyone doubted the UK government’s intent when it comes to shale prospection, this is your answer. Sadly, intent alone will not trigger a shale revolution. The Oilholic has always maintained that a swift British replication, or for that matter a wider European replication, of a US fracking heaven is unlikely and not just because there isn’t a one size fits all model to employ. The shale bonanza stateside is no geological fluke; rather it bottles down to a combination of geology, tenacity and inventiveness. Add to that a less dense population than the British Isles, a largely conducive legislative and environmental framework, and a far superior pipeline network and access equation. Furthermore, as Chatham House fellow Prof. Paul Stevens pointed out last week, “The American shale revolution got where it is today through massive investment, commitment towards research and development and over two decades of perseverance. I don’t see that level of commitment here.” Neither does the Oilholic. Agreeing with Stevens is Dr. Tim Fox, head of energy and environment at the UK Institution of Mechanical Engineers, who opined that it was important for government not to see shale gas as the “silver bullet many claim it is”. “Shale gas is unlikely to impact greatly on energy prices in the UK and we must avoid becoming hostage to volatile gas markets by not being over-reliant on gas,” he added. Well at least the Chancellor is trying to do something and you can’t beat a man down for that. Especially as that is not the only thing he’s trying on the energy front. Addressing the subject of decommissioning in the North Sea, Osborne said the government would enter into contracts with companies in the sector operating in the offshore region to provide "certainty" over tax relief measures. The proposals are also designed to allow the tax effect of decommissioning costs to be sufficiently certain to allow companies to move to a post tax calculation in field security agreements. Andrew Lister, energy tax partner at KPMG, notes, "With hundreds of such agreements in the North Sea it will take many months to understand whether the proposals have had the desired result of freeing up capital and making late life assets more attractive for new investors." "Nonetheless, the oil & gas industry in the North Sea – having endured the shock tax announced in the Budget two years ago – will welcome the announcements on decommissioning certainty, which should support extraction of the UK’s precious oil resources to the tune of billions. Certainty on tax relief for decommissioning costs will encourage companies to invest in the North Sea as the proposals should provide the assurance companies have been wanting on the availability of tax deductions," he added. Osborne also revealed the two successful bidders for the government’s £1 billion support for Carbon Capture and Storage (CC&S) projects as – the Peterhead Project in Aberdeenshire and the White Rose Project in Yorkshire. Away from the direct fiscal measures, one particular move made by the Chancellor also has implications for the energy sector. He pledged to abolish the stamp duty levied on small company shares traded on markets such as the London Stock Exchange's AiM, to end what he described as a "perceived bias" in the tax system "favouring debt financing over equity investment". You could hear the cheers in the City within minutes of the announcement. 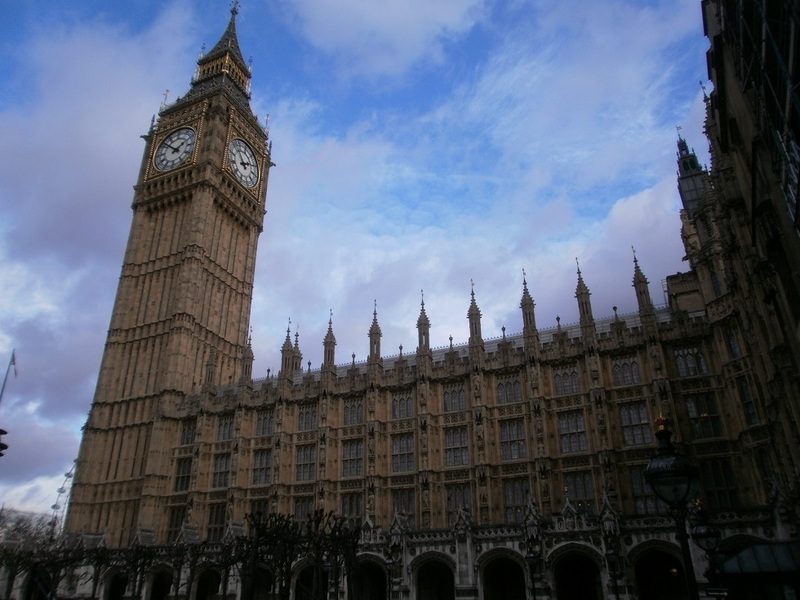 Finally, moving away from the UK budget, but sticking with Parliament, the Oilholic recently had the pleasure of meeting and interviewing Margaret Hodge MP, chair of the UK public accounts committee, for CFO World (for the full interview click here). This veteran parliamentarian has taken upon herself and her committee to make the issue of corporate tax avoidance a mainstream subject in the UK. Ever since it emerged last year that the likes of Starbucks, Amazon and many others were employing aggressive tax avoidance schemes to mitigate their British tax exposure, Hodge has been on the case. They quipped "we’re not doing anything illegal", she famously quipped back, "we’re not accusing you of being illegal; we’re accusing you of being immoral!" End result, we’ve got everyone from the OECD to the G8 discussing corporate tax avoidance. And oh – Starbucks are 'voluntarily' paying more tax in the UK too! That’s all for the moment folks! Keep reading, keep it ‘crude’! © Gaurav Sharma 2013. Photo 1: Big Ben and the Houses of Parliament, London, UK © Gaurav Sharma. Photo 2: Margaret Hodge MP, chair of the UK public accounts committee (left) with the Oilholic (right) © Gaurav Sharma.